Are you wanting to enroll your children in the Lake Oswego School District, but are concerned about finding a home that is large enough, that you can also afford? Look no further. A home that fits this profile has come onto the market. The Southwood Park neighborhood is actually an area of unincorporated Clackamas County. It is just North of Westlake and just West of Mountain Park. The street boundaries are Kruse Ridge Dr to the North, Sierra Vista/Twin Creek to the East, Pamela to the South and I-5 to the West. 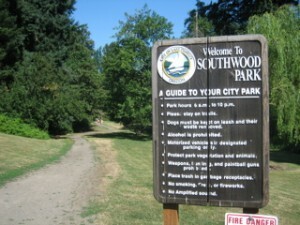 At the South end is Southwood Park, a City of Lake Oswego Park with 2.5 acres of woods and grassy open areas. Because it is an unincorporated part of Clackamas County, it tends to have lower property taxes. But because it is in the Lake Oswego School District, it is highly desirable and popular for all manner of families. One important note: not all houses in Southwood Park are in the LO School District. At the North end some homes are in the Portland School District. So be sure to confirm the school attendance for the home you are interested in. You should also be aware that it has extremely easy access to I-5, Hwy 217 and the Kruse Way business community. It is also close enough to Portland Community College Sylvania Campus that the school can be accessed via trails on foot or on bike. As for real estate, when I think of Southwood Park, I think of great value for the dollar that you spend. An excellent example of this is in today’s Featured Property: 13638 SW 62nd. This new listing has 4 bedrooms and 3 full baths. With2268 square feet, it also has a formal living room and 2 family rooms, all of which have either got a wood burning fireplace or a wood stove. The roof was replaced in 1998 with a 50-year metal roof. The windows were replaced in 2003, the deck in 2007, and the gutters in 2008. This summer the house has been totally repainted both inside and out. The lot is about 7000 square feet and is extremely private with mature landscaping. It sits just a short distance from Southwood Park. 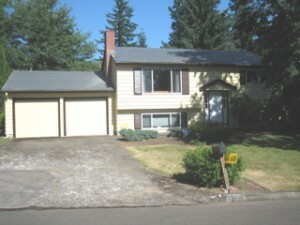 I have confirmed that this home is located within the Lake Oswego School District. The elementary school is Oak Creek, the junior high is Lake Oswego Junior High School, and the high school is Lake Oswego High School. Think about all of that space with lots of bedrooms and plenty of living areas. That’s a nice big house that could easily house 4 to 6 people. And the list price is just $319,900! It is just a great home for the money. Please let me know if you have any interest in further information. I’d be happy to send you a copy of the listing or to arrange for you to see the interior. E-mail me at jdgregoire@earthlink.net . If you’d like to do a drive through the neighborhood, feel free to take a swing past this house. From Kruse Way in Lake Oswego go North on Westlake Dr. Turn West on Southwood Dr and then left again on SW 62nd. The house is all the way down the street, on your left, near the park: 13638 SW 62nd Ave.